New Zealand authorities have released close to 20,000 apple plants and 400 stonefruit plants from quarantine. The plant material, imported from the US, was seized by New Zealand’s Ministry for Primary Industries (MPI) in March. The move came after an MPI audit of the testing facility the plants came from. MPI found what it believed to be “a number of significant failures” at the Clean Plant Centre Northwest, an assessment validated by US authorities in a subsequent investigation. MPI has now completed additional testing for pests and diseases of concern on the affected apple plants, as well as a small number of stonefruit plants. "As all the test results were negative and we are satisfied the biosecurity risk has been minimised, we're pleased to be in the position to release these plants back to their owners,” said MPI director of plant and pathways, Pete Thomson. "Throughout this process, our decisions have been based on protecting New Zealand and our wider horticultural industry. Some of the diseases, if present, could impact significantly on our wider horticultural industry." 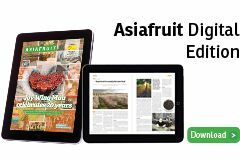 Almost 48,000 affected apple and stonefruit plants and small trees were initially secured at 50 sites in Hawke's Bay, Waikato, Nelson and Central Otago. In total, 32 nurseries, importers, and growers were affected. Just over 1,000 apple plants have been voluntarily destroyed by 12 owners, while 20 owners opted to destroy over 6,000 stonefruit plants. Nearly 20,000 stonefruit plants require further testing over spring and summer.